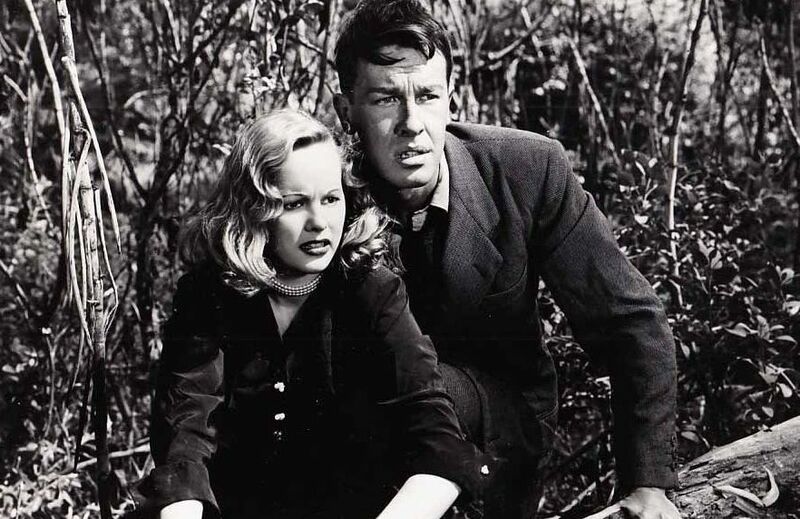 Inspired in part by the story of Bonnie and Clyde, the 1950 film tells the story of a man named Bart (played by John Dall) obsessed with guns from an early age. He quickly learns how much trouble his passion for firearms can cause, so he channels his obsession into constructive outlets like entering shooting competitions. When he meets a carnival sharpshooter named Annie (Peggy Cummins), it's love (or rather lust) at first sight. What starts as an infatuation between two people with the same passion quickly turns into something more sinister. Annie sees Bart as a pawn to be manipulated in pursuit of the life she's always wanted, and she's not afraid to cross lines to get what she wants. This is a movie that takes a long look at gun culture and those who fetishize it. When our characters meet and take turns shooting at each other in a series of increasingly-dangerous stunts, it's foreplay. This turns them on, makes them hot. Peggy Cummins plays Annie as a predator, and her character represents raw power, manipulation, and danger. She's a textbook example of the film noir femme fatale. John Dall's character is a tool to be used, and so is Annie's sexuality, which unlocks doors for her and allows her to climb the social ladder. In fact, the film is also known by another name: Deadly is the Female. Not subtle, perhaps, but accurate to this story, nonetheless. When Bart doesn't immediately follow Annie's more violent urges--which begin with robbery and eventually escalate into murder---she attacks his pride. She positions herself as a prize, something to be won and, more importantly, something increasingly in danger of being lost. One of the hallmarks of film noir is a sympathetic focus on flawed characters. We as the audience are never encouraged to sympathize with Annie, but Bart is different. He's led by his own faults and urges; his conscience is telling him to get away, but he's being led astray by his desires. It's a powerful noir storytelling technique that always resonates. Gun Crazy is famous for the story it tells and the way it manages to hit hard with imagery and events that skirt the film code quite provocatively, but it's also notable for being stylish and cutting-edge. 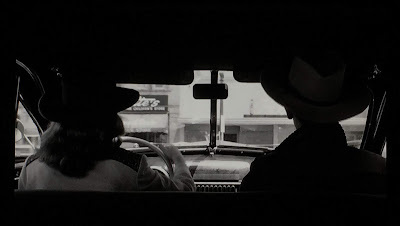 One of the centerpieces of the entire film is a robbery that takes place from start to finish in a single camera shot. The camera is positioned in the backseat of a car, and we, the audience, are inside the entire experience, which takes place in one carefully-choreographed take. The scene starts with the two outlaws riding into a town and turning on the main street. They pull up in front of a bank, and Bart gets out of the car and runs into the building. Suddenly, a police officer comes around the corner, so Annie gets out and distracts him for what feels like an excruciating length of time. Finally, the alarm sounds, Annie attacks the cop, they jump back in the car, and take off with the police in hot pursuit as they head for the open road. It's one of those cinematic achievements that we associate with more modern movies from directors like De Palma and Alfonso Cuaron, but here it is in a 1950 film. 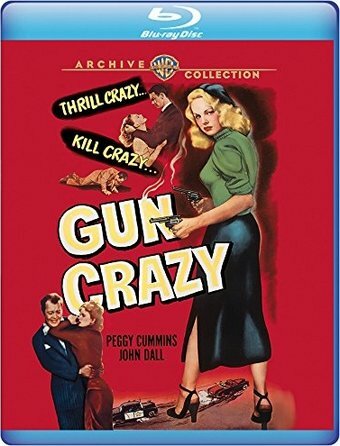 In both style and approach, Gun Crazy is a remarkable film, and its influence can be felt in everything from 1967's Bonnie and Clyde all the way to Oliver Stone's Natural Born Killers and beyond. This is a story that seems to play out over and over again, both in real life and in cinema, and this mid-century look at gun culture shows that not all that much has changed in the last 70 years. To be clear, director Joseph H. Lewis and screenwriters (one of whom wrote the original story) never vilify guns themselves, but focus rather on the strange and deadly obsession that leads some to go "gun crazy." It's a cautionary tale in more ways than one, but it's told with great skill and power. 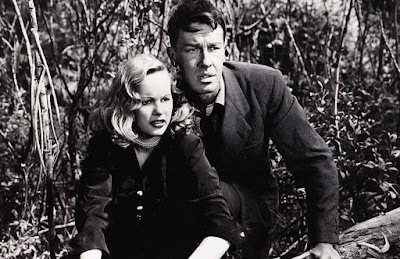 The Warner Archive Blu-Ray features a commentary from Glen Erickson, the founder of the website "DVD Savant" (now Cinesavant.com), and it also contains a 67-minute documentary called Film Noir: Bringing Darkness to Light. Quite frankly, this feature remains one of the most informative and interesting documentaries ever produced about film noir. Featuring a who's who of authors, critics, filmmakers, and actors that include James Elroy, Sydney Pollack, Frank Miller, Christopher Nolan, and Kim Newman (a favorite of mine), Bringing Darkness to Light manages to cover the elusive nature of film noir, display its hallmarks, and illustrate what makes it so powerful. In 2015, I had the great pleasure of participating in a nine-week online program called "Into the Darkness: Investigating Film Noir." The event was coordinated with the involvement of Turner Classic Movies, who aired countless hours of noir programming to coincide with the course. Over those nine weeks, participants were led in classes taught by Dr. Richard L. Edwards, a professor at USC's School of Cinematic Arts. So much of what I learned during that class (and I learned quite a bit) is present in this documentary. It's an incredible film noir resource, and one that I can't praise highly enough. 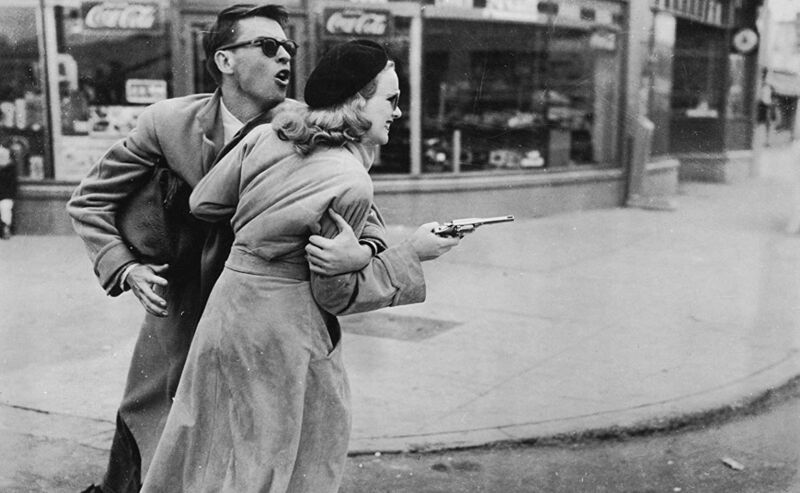 Gun Crazy is a special film that epitomizes so many of the qualities that make noir a fascinating film style and movement. The performances are top notch and the storytelling is effective, provocative, and ground-breaking. Warner Archive's Blu-ray offers the film in high definition with a great commentary and an essential documentary. This one gets my highest recommendation. Awesome review. This is on my long list of Warner Archives I need to pick up eventually.